Our new blue snake baby rattles are crocheted from cotton yarn (our previous lines were knitted). These blue snakes make fabulous baby toys as they are easy for your baby to grasp onto and explore. The gentle rattle sound is stimulating for your baby. Best Years are a soft toy manufacturer based in the UK. All of our crochet fair trade rattles are available to wholesale, retailers and museum customers. Who made my snake baby rattle? 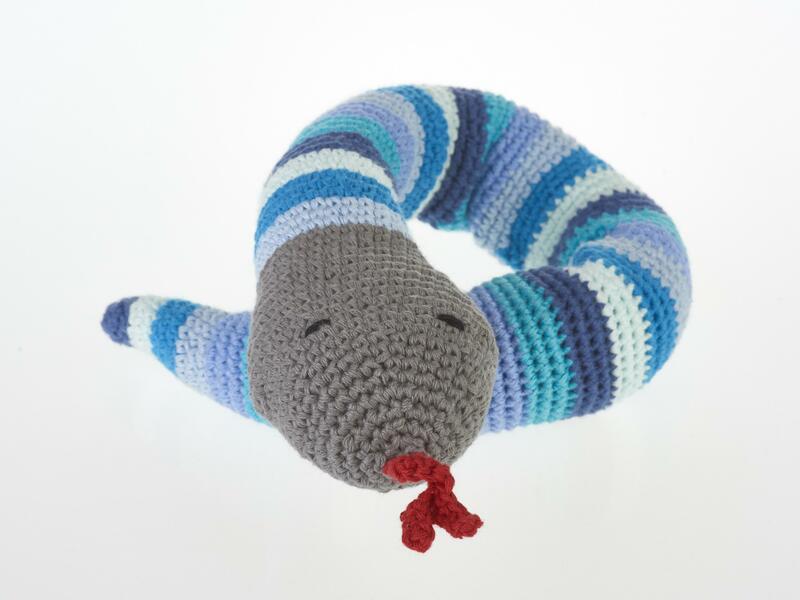 All of our fair trade crochet snake baby toys are made by our fair trade partner Pebble.